Tens of millions of Americans increasingly feel pressure coming at them from both sides. They juggle the needs and challenges of caring for both the young and the old. They are the sandwich generation. Typically men and women in their 40s, 50s, and even 60s, members of the sandwich generation have dependent children at home, while also helping support their aging parents. They are “sandwiched” between caring for an older generation and a younger one. Couple longer life spans with changing demographic trends and an uncertain economic outlook, and the sandwich generation is facing a greater squeeze than ever before. On one side, the parents of “sandwichers” are in their late 60s and 70s, when health concerns become more prevalent and acute. If not currently providing care for their parents, the majority of middle-aged adults expect that they will have to in the future. On the other side, the average age at which parents have chosen to have children has only gone up over the last 50 years. That means that many middle-aged parents are currently raising teenagers. Additionally, members of the sandwich generation are dealing with a growing number of boomerang children, adult children returning to their childhood home to live with their parents. While many members of the sandwich generation aren’t thinking about retirement in the immediate future, caring for both children and parents simultaneously can take a financial toll. 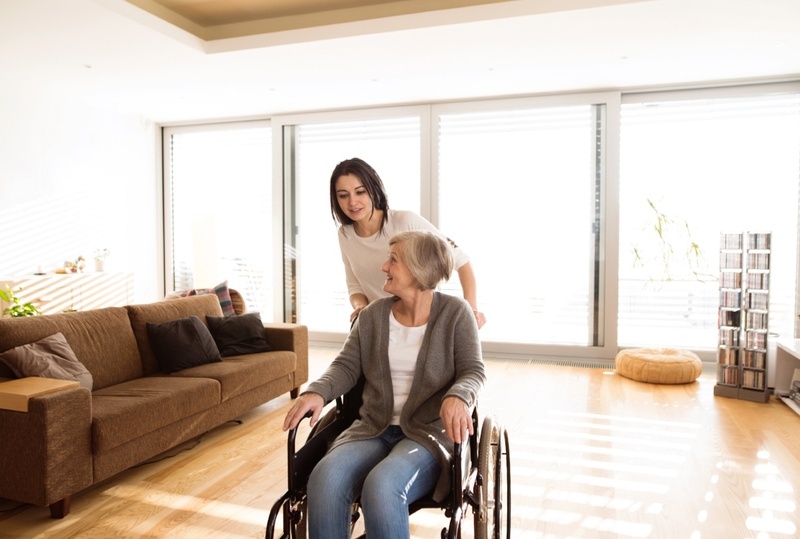 According to a study by AARP, caregivers spend, on average, $6,954 per year on out-of-pocket expenses associated with caregiving. Continued care can put the sandwicher’s own retirement at risk. Boomerang children are increasingly a factor for sandwichers. The opportunity to save money while experiencing the creature comforts of home is enticing to many Millennials today. According to a Pew Research Center study, over 15% of Millennials ages 25 to 35 live with their parents, with that number only expected to rise. Unfortunately, that can cause financial stress for the parents. Boomerang children are increasingly causing members of the sandwich generation to make painful lifestyle adjustments and even rethink their long-term retirement plans. In addition to this, people are living longer. The average life expectancy in the U.S. today is longer that at any other time in our history. At birth, the average life expectancy for an American is nearly 79 years, according to the Center for Disease Control and Presentation. However, that number doesn’t give the full story; the growth in longevity must be considered. For a male at age 65, the median remaining longevity is predicted to be about 24 years. For a female at age 65, that number increases to 26 years, according to the Society of Actuaries, 2012 Individual Annuity Mortality tables, with projections for 2016. This increase in longevity means that the percentage of the population 65 and over is higher than ever. In 1950, only 8% of the population was over age 65. In 2000, the number rose to 12%. Researchers are predicting that in 2050, 20% of the U.S. population will be over age 65. Currently, 15% of middle-aged adults provide financial support to both an aging parent and a child. This trend is expected to grow as more young adults request parental support and seniors live longer, fuller lives. One concern for sandwichers is that the financial cost for care will substantially increase. Researchers predict that the bulk of the financial pressure on members of the sandwich generation will come from their children, both young and adult. With the additional – and often unexpected – pressures, sandwichers need to remember to take care of themselves. If you’re feeling squeezed by the demands placed on you, below are a few ways to help you achieve balance and reduce the risk for burnout. It can be stressful and overwhelming at times to know that you are responsible for providing emotional, and perhaps even financial, care to both your children and aging parents. However, if you don’t practice self-care, you won’t be able to take care of your loved ones well. It’s important to make sure you’re getting enough sleep, eating healthy meals, and regularly exercising. As a caregiver, you are likely an information hub, and thus continually fending off requests for status updates about the health of your parents, what your adult children are doing, or for pictures of your younger children. You can save time by creating an email or text group that updates your family all at once without having to reply to individual inquiries. Consider creating a Google Drive to help you stay organized, where you can keep a shared calendar, editable documents, and spreadsheets. Ask For & Accept Help. Managing all of the divergent needs of your children and your aging loved ones, on top of your own needs, alone is nearly impossible. However, you don’t have to do it all yourself. Ask for help from your spouse, siblings, and even your children, and let them exert independence. It can initially be hard to let go, but doing so will free you up to focus on more important matters. If you aren’t getting enough support from volunteers, it may be time to bring in a professional to help with tasks and chores. Having a good baby sitter and/or home health care aid to pitch in when you feel spread too thin can help relieve pressure on you. Maintaining a housekeeping or meal preparation service can also help pick up some of the slack. As a caregiver, laughing may be the last thing on your mind. However, seeing humor in situations can help you keep a positive outlook. Laughing can also reduce your stress level, serve as a distraction from pain, and help keep you healthy. Embrace humorous situations when they occur and find ways to add more laughter into your life. There are only 24 hours in a day and one of you. Setting unrealistic expectations of what you hope to accomplish will only set you up for failure. Keep an ongoing list of the things you want to accomplish and determine what is truly important and what can wait. It’s okay to be selfish and take time for yourself, too. Whether it is escaping in a novel, going to the gym, or binging on your favorite TV show, you have to make sure your needs are getting met. Giving yourself a break to recharge will help you take better care of your loved ones. It can be helpful at times to simply talk about your fears and frustrations of being a caregiver. Allow your family members and friends to give you emotional support. Or, consider joining a support group. Listening to others who have either been through or are joining through similar experiences to you can be therapeutic. Serving as a caregiver can be overwhelming and inspire feelings of inadequacy and guilt. As hard as it may seem, try to put an end to the negativity and instead be present in the moment. When you look back later, it is often those times you were fully present with your loved ones that inspire smiles and treasured memories.